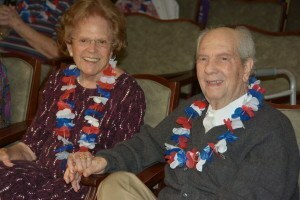 The Peninsula, an assisted living and memory support community in Hollywood, celebrated July 4th this year with an all- American party that continues throughout the month. On the 4th of July entertainer Tony Jr. performed rousing renditions of favorite popular singers ranging from Neil Diamond to Elvis. 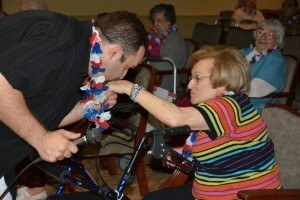 Residents and staff joined in as well as danced in the aisles. There was a delicious July 4th birthday cake with plenty of vanilla ice cream following the show. The month long celebration includes trivia and word games each with patriotic themes as well as Sunday American sing-a-longs. 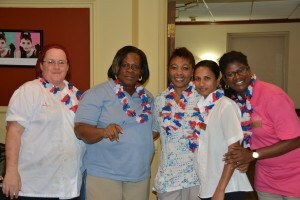 God Bless America at The Peninsula!